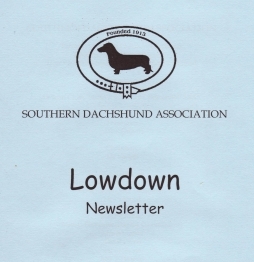 “Lowdown” is the Newsletter of the Southern Dachshund Association. It is published annually, in January, and is free to all paid-up members. The Editor would be pleased to receive articles, cartoons, stories, recipes etc.